z u l f a d l i: Singapore’s Inaugural Asia Fighting Championship (AFC): Top Asian Muay Thai Fighters to Step into the Ring for an Action-Filled Evening! Singapore’s Inaugural Asia Fighting Championship (AFC): Top Asian Muay Thai Fighters to Step into the Ring for an Action-Filled Evening! For the first time in Singapore, Muse Fitness Singapore and Axseed Events have come together to jointly organize the inaugural Asia Fighting Championship (AFC) on 23 September 2017! 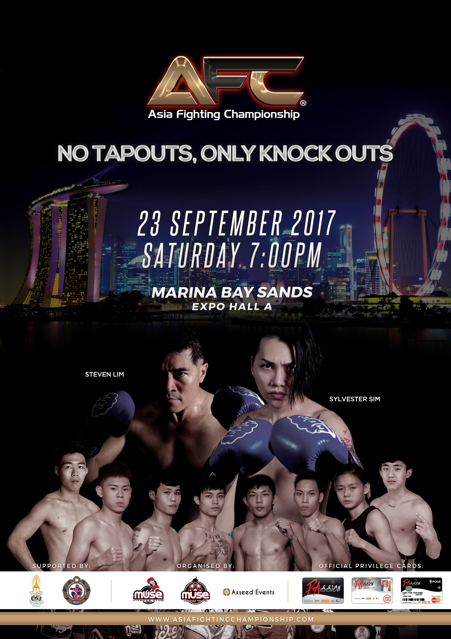 Top champion fighters from Korea (Seung Bum Woo and Yoo Deok Jae), Macau (Chao Wai Ian, Ieong Pan and Kuan Wei Hou), Malaysia (Muhammad Ali Yaakub) will be making their first appearance and fight against Singapore’s very own, promising an action-packed September evening! Asia Fighting Championship (AFC), a new brand and concept entirely conceived in Singapore, aims to unite different nations through the provision of a professional platform to showcase the talent in the sport worldwide. This cross collaboration aims to establish the Asia Fighting Championship as the globally recognized arena for Muay Thai artistes; selecting and recruiting the best athletes across all nations. Muay Thai, although an ancient form of martial art, is still considered a growing sport in its infant stages. Excited to see them on the ring and learn more about it! 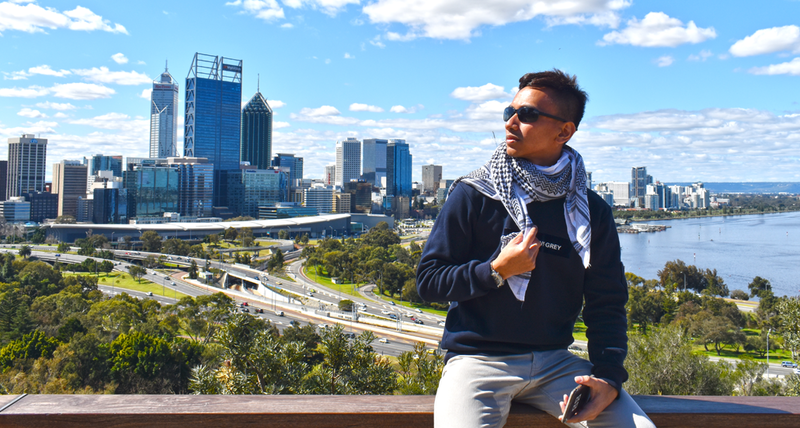 Hailing from across the borders of Continental Asia, the far reaches of Samarkand Uzbekistan to the shores of the land of the rising sun Nippon; to rise before the great People's Republic of China to the sons of Daehan Minguk Korea and to the glitter of the Las Vegas of Asia – Macau. Then also before the shores of Bumiputera Malaysia and to rest again finally in the Lion City of Singapore, Asia Fighting Championship brings you the best of the Asian Fighting spirit, the spirit of all the sons of Continental Asia where martial arts was born and bred. Asia Fighting Championships (AFC) will, in its competitions, seek to find a Champion of Muay Thai, a Champion of the people and a Champion of life itself. This is Asia Fighting Championship’s quest to find the true – Champion of Champions. Stay tuned for this exciting and challenging journey and endeavour starting in September 2017 at the Marina Bay Sands Singapore that will take us to Kuala Lumpur and Macau before coming full circle back to Singapore in September 2018 for the Final Showdown – Chapter 1. AFC is fully sanctioned by the World Muaythai Council (WMC). AFC will see the launch of specially designed belts for four different weight classes. The winner of each class will be crowned AFC champion and be awarded the belt. Don't you find the belt empowering? Asia Fighting Championship aims to unite different nations through a provision of a professional platform for the showcase of the talent in the sport of Muay Thai worldwide. Their aim is to make the Asia Fighting Championship a globally recognized component of the sports world today. Loving this cross border exchange spirit! As usual, everything here has to have a hint of glam! Adding a touch of entertainment and glitz, Singapore stars Sylvester Sim and Steven Lim will be joining the event as celebrity fighters! For bulk bookings, e-mail: pamm@axseedevents.com, sales@axseedevents.com.